Probably all of us, or maybe just some of us can look back on some awkward moments. For me at least they generally are of the beautiful plan gone horribly wrong category. as a case in point I offer the following example. My first experience with a GT1 car was a sobering one. Having raced a ITA Mercury Capri for several years with indifferent results I had to take the plunge. One of those times when you know you shouldn’t do it but everything works out so you can. 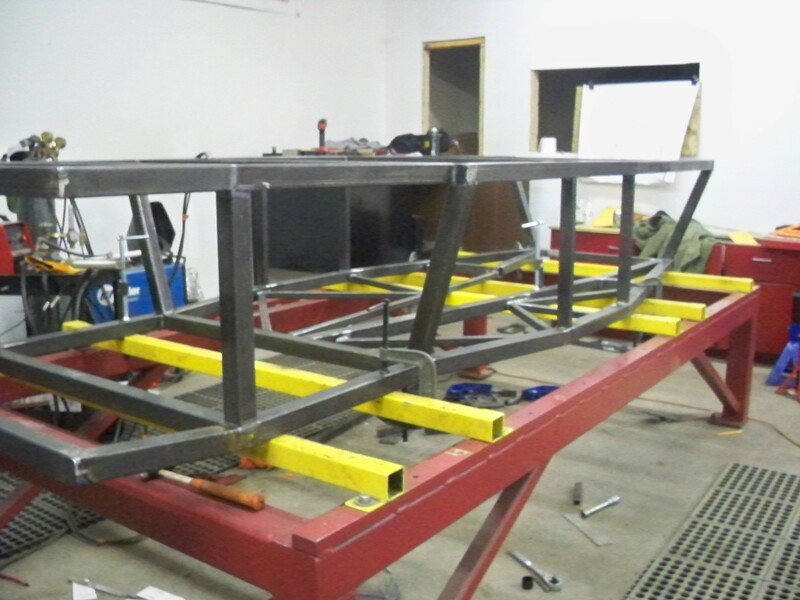 An acquaintance had a Thunderbird bodied stock car chassis that he was about to give up on trying to make work. At the same time a guy walked up to me at Summit Point and offered to buy my car. So he became the proud owner of an ITA Capri, and I became the owner of a GT1 car. Well almost. To get it to where I could afford it, a lot of parts were not included. 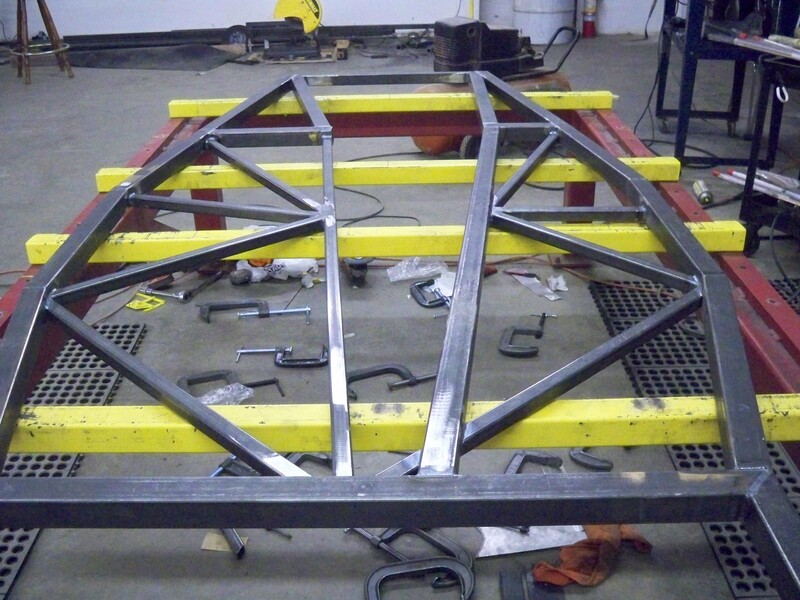 But with the help of my best friend, and a patient wife it once again became a car. The first time it was out on the track was a drivers school, held in a monsoon, at Summit Point. The second was my second drivers school. These revealed a couple of things in graphic detail. One we had a really good engine. Two the brakes, from a late-model stock car, were marginal. Marginal with a capital M. Lastly it was a pig. The handled was so bad I didn’t have a clue on how to make it better. So, rather than address the handling I bought myself some brakes. Straight from the bigger is better school of thought (low buck edition) I bought the entire front brake setup from the #31 Mike Skinner Sprint Cup car. They had run it at Sears Point that same year. A great deal, 2 giant Wilwood calipers, about 10 rotors, several sets of hats, and bunches of sets of brake pads. All for a reasonable, it seemed, price. So we redid the caliper brackets, bolted everything in place, bleed the brakes and awaited our next race at Summit Point. When the time came we loaded the car, drove the 126 miles to Summit Point, unloaded the car and awaited our turn to get out on track. When that time came we went out on the course feeling that this time it was all going to be good and we would be a contender. That good feeling lasted for maybe two laps of practice. It became apparent to me that some thing wasn’t right. The car wouldn’t accelerate like it should, and the brakes were weird. So I pulled into the pit lane, my friends came out to see what was wrong, and after a short conversation we agreed I would go out and try it again. It immediately became apparent that we had a major problem. The engine for all its power would barely move the car along pit road. Finally after some head scratching and oohing and wtf’s? Somebody put their hand on the center of the front wheel. Wow! It sure wasn’t supposed to be that hot. So even to the rookies that we were it was obvious that we had a brake problem. After taking the front wheels off we were able to push/pull the car back to the pits. Obviously too hot to work on we went to find help. Fortunately a fellow competitor was not only able to diagnose the problem as a stuck front caliper but point us toward someone who had spares. (Of course we didn’t, after all we’d just gotten the brakes). So now came the process of fixing the problem. Once they had cooled sufficiently the calipers were removed from the car. Before the pads were removed, a block of wood was inserted between the pads. Then an airline was put onto the fitting where the brake line attached. A slight puff of air and the pistons pressed the pads against the wooded block. Than the wood and pads were removed so that the pistons could be removed from the bores. So now we had to correct the problem. The old seals were removed, and the pistons lightly sanded, LIGHTLY sanded, with a fine emery paper. New seals were placed on the pistons, which were then reseated in their bores. Calipers were bolted onto the front uprights and brake pads installed. No more problems, and a very valuable lesson learned. Always check, no matter what the pedigree, new or used. And spares are necessary whether you need them or not. 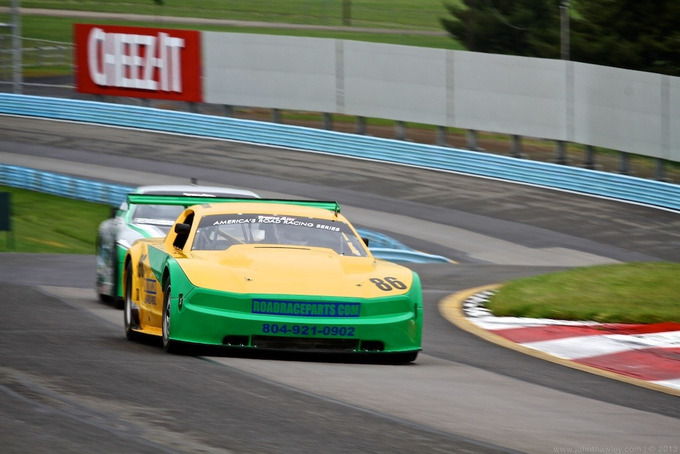 John’s Mustang on its way to a strong 4th at Watkins Glen. 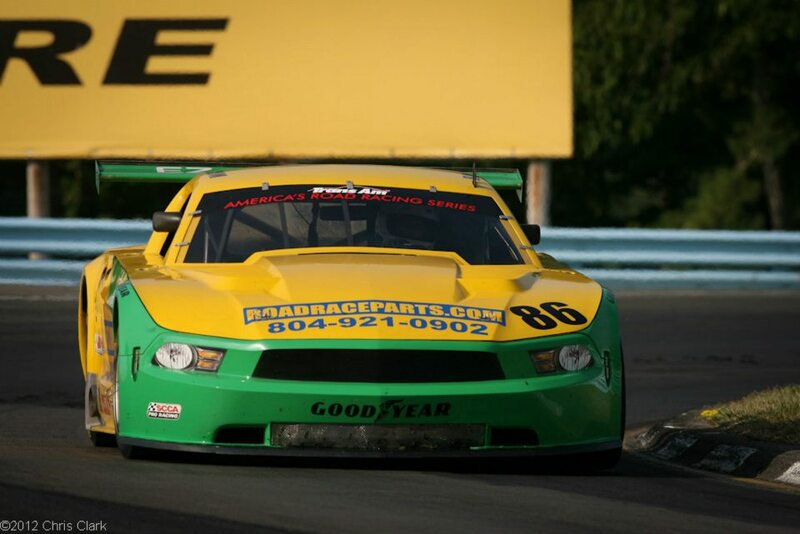 Congratulations to John Baucom and the entire Baucom Motorsports team after their fine 4th place finish in the Trans Am series race at Watkins Glen today. This was their first return to the track since the disastrous fire at Sebring in the first race of rhe season. After qualifying 5th, with a broken front sway bar he was able to get as high as 3rd where he race most of the race. However at the end he was not able to hold off Simon Gregg who took the position with just a few laps left. 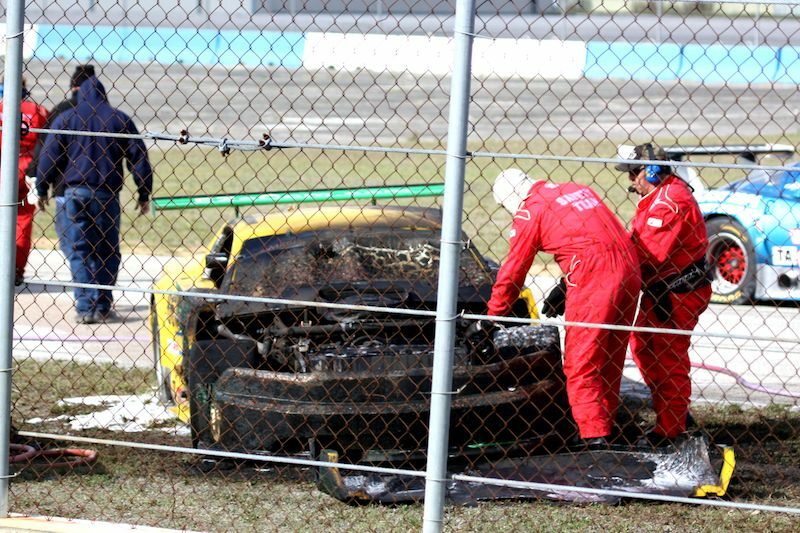 Johns car after the fire at Sebring. 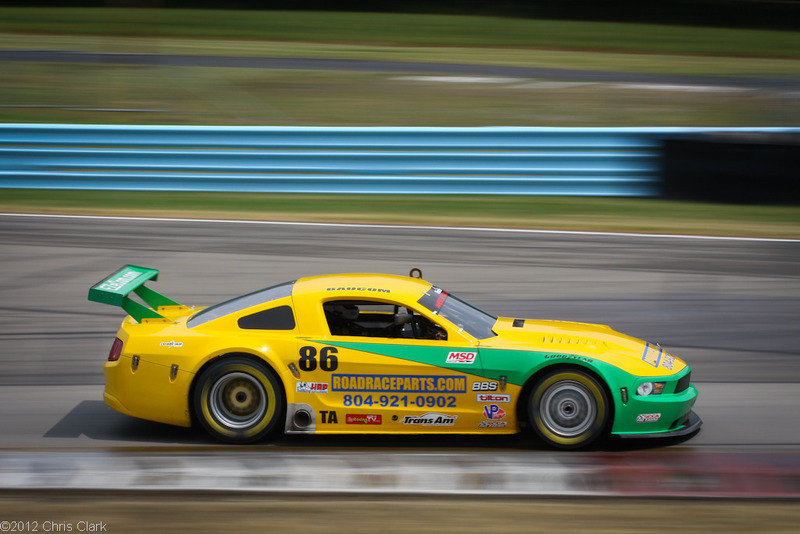 Again congratulations to John and everybody associated with the Roadraceparts.com Mustang. We look for continued success. Do you have a maintenance plan for your car? While many of us, if not all of us have a checklist that we go thru between races that may be it. Do you know when various items on the car were replaced? You probably change the oil and filters on some schedule, it only makes sense. But how long have the rod ends on the control arms been on there? Or the spindles (that probably came with the car when you bought it)? Part of getting organized is having a plan that includes every critical item on the car, when it was installed, when it was inspected, and when you intend to replace it. 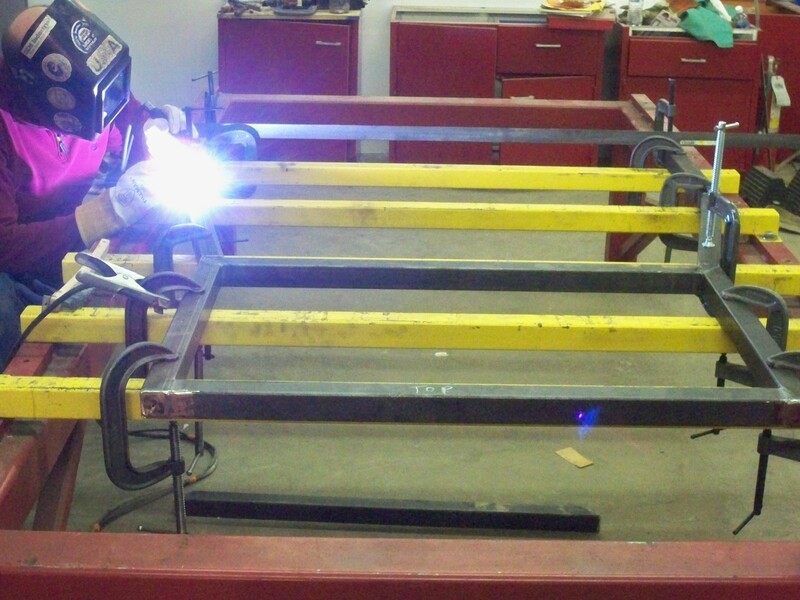 Yes, it can be a pain, but think what happens when a rod end or a spindle breaks. We all either have had it happen to a friend or ourselves, some little part breaks that should have been replaced a long time ago. Ever had the mishap of a “stuck” caliper? If you have it’s probably something you haven’t forgotten. What happens is that when you apply the brakes the pistons in the caliper press the pad against the rotor and the car slows. All good, right? But when you release the pedal the piston does not return to its seated position, allowing the pads to release the rotor. How much of a problem is that? When it happened to me a 550 hp engine could barely move the car down pit road. Not good. Several things can cause this, just disuse, like in a car that has sat for a period of time. Or, more commonly the heat cycles that the brakes go thru eventually deteriorate the seals. 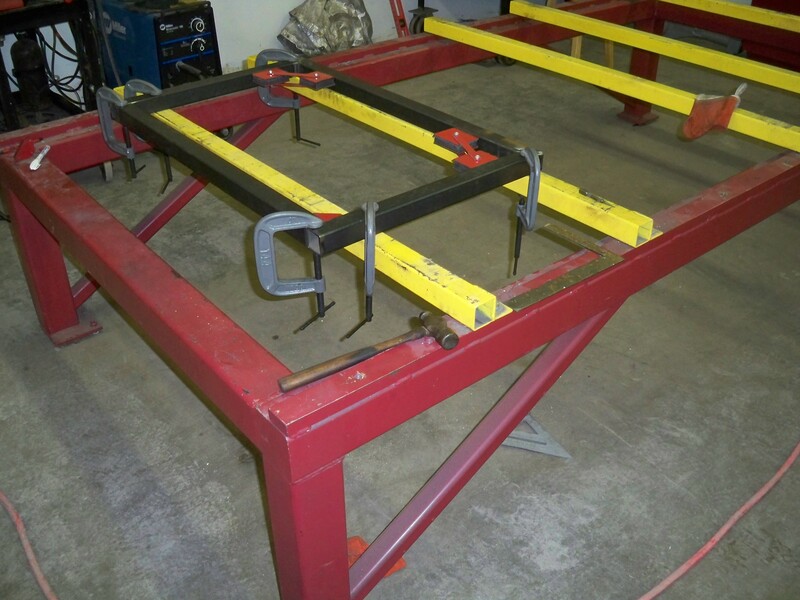 The answer, is of course to add caliper maintenance to your check sheet. Every 2 or 3 races, pull the pistons, check them over and replace the seals. Seals are cheap insurance and it could save a lot of heartache. Brembo pressure seals available from 28-44 mm. For those of you using Brembo calipers, they have a new design of anti-knockback seal. 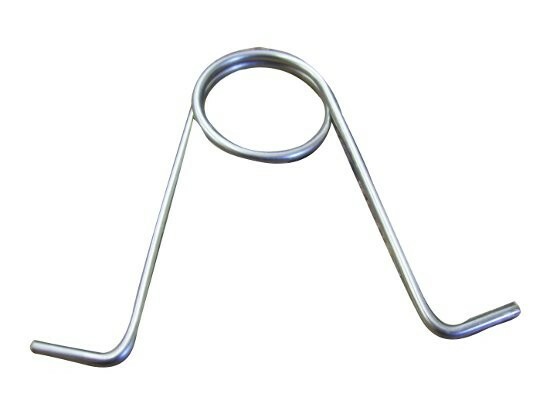 A direct replacement for their regular pressure seal it reduces the issue of pad knock back. 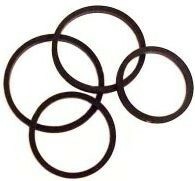 We carry AP, Alcon, and Brembo caliper seals in stock ready for immediate delivery.